Remember the joy of opening a present? The visual appeal of the packaging. The anticipation of opening the box. The touch and even the smell of a new toy/game. Now imagine you are a 5 year old child. Multiply those sensations to infinity. Alright, it’s not to infinity but it’s pretty high. The act of opening a new game encompasses a child’s senses. The visual, the touch, and the smell of an newly opened game can make following rules really difficult at first. I know when I’m playing with my 5 year old son that I initially don’t always follow the rules of the game. 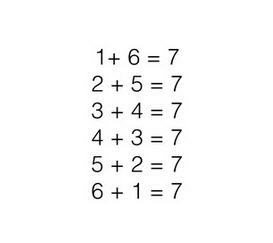 No need to be frustrated. The experience of teaching your child the game rules can still be fun and a good learning experience. We recently had a visit from a Board Certified Behavior Analyst, Sam Blanco. We are a fan of her blog (www.samblanco.com) and how she adapts play for her students with special needs. She offers some valuable tips on shaping gameplay with your kids. Whether you have a child with special needs or you are trying to play games with siblings of different ages, it can be challenging to figure out how to make a game accessible for everyone who wants to play. Here are a few tips for introducing and teaching new games. • Allow for exploration. Kids can learn a lot just from freely exploring the materials of a game. Chef Cuckoo is a great example of this, because kids get a kick out of exploring all the different ingredients and putting them into interesting and odd combinations. Pixy Cubes is another great example as kids enjoy free time to create their own patterns with the cubes. Becoming familiar with the materials makes it easier for many learners to focus on understanding the rules, rather than trying to simultaneously understand the rules and the materials. • Put fewer pieces in play. 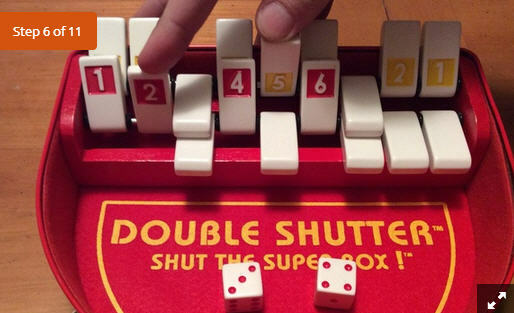 This simple step can make a huge difference in a learner’s ability to enjoy a game. For example, with Fastrack, instead of having ten discs in play, I might just start with four. Remember the Rule of Three. Before adding a new step or increasing the difficulty level, the child should be able to play the game at the current step three times consecutively with success. With Fastrack, once a learner has mastered playing with four discs, we’ll start playing with six discs, then eight, etc. This means that it might take a while before you’re playing the game completely as designed. • Additional rules can wait. I frequently introduce a game without introducing all of the rules. For example, with Chef Cuckoo I challenge learners to create the Best Pizza or Worst Pasta, but don’t introduce the “star system” aspect of the game until later. The Rule of Three applies with adding rules, as well. • Provide prompts when necessary. It can be useful to provide visual or textual prompts to allow your learner to play a game independently. For example, with Double Shutter I sometimes utilize a visual prompt of index cards with all the different addends that can be used to arrive at a specific sum. • Stack the deck. When introducing card games of any type, I frequently set up the deck with only cards I know the learner can understand and play with. For example, with Speedeebee, I will go through all the cards and remove any that I know my learner cannot respond to based on his/her current skill level. If I’m playing with more than one child who have different skill levels, I’ll create individual stacks of cards and change the rules so that players take turns responding. Over time, as the learner experiences more success with the game, I introduce more challenging cards. • End the game early. Learners with special needs may have a lower frustration tolerance, so while it may seem counter-intuitive it is often best to end a game at the height of their interest. I’ll also frequently use a timer for games that last a long time, and when the timer goes off we move on to a new activity. Ending a game at the height of interest actually increases the likelihood that the learner will request it again in the future, and as their mastery of the game grows their frustration tolerance will also grow. Remember that there is great value in playing, even if you aren’t playing the game as designed. The goal is to create opportunities for learners of all skill levels to have fun playing games. Sam Blanco is a Board Certified Behavior Analyst and an ABA provider for children ages 3-15 with autism and other developmental disabilities in NYC. She is dedicated to showing the value of games, play, and technology in special education. 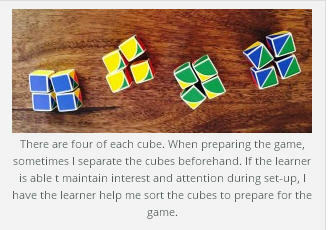 You can find much more information on teaching through games at her blog at www.samblanco.com.